Jubilee’s Long, National Vampire Nightmare is Over! Once upon a time, back when Twilight’s popularity was already waning, Marvel Comics had the stupid idea to revitalize their own vampire characters. They turned characters like Dracula into modern hunks, tried to come up with all new vampire lore, acted like these vampires were going to be a big deal in the Marvel Universe going forward, and basically made fools of themselves. 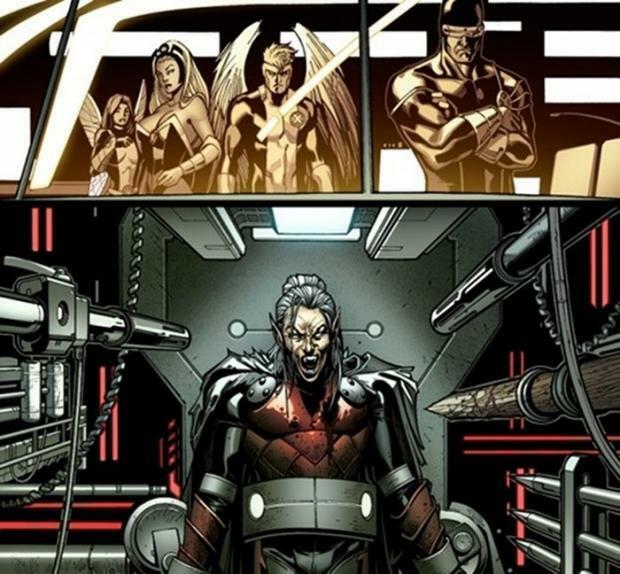 Then they roped the X-Men into this madness. The only real consequenceof this legitimately stupid story endeavor was that Jubilee was turned into a vampire. She had lost her regular powers on M-Day and was just kind of hanging around for a bit with nothing to do, so Marvel turned her into a vampire. That stuck around for years afterwards, even as the vampire fad mercifully faded away. 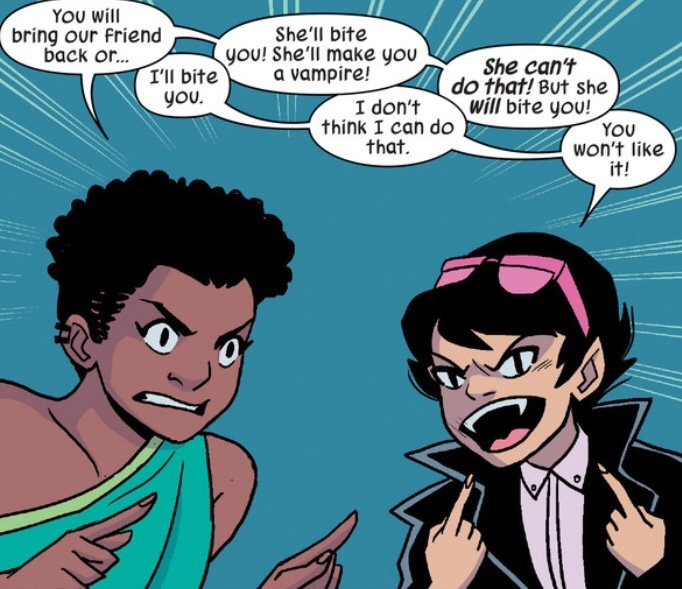 Jubilee was a vampire in every comic she showed up in, including random ones like Patsy Walker a.k.a. Hellcat. Wild stuff, right? And just so, so dumb. What business does Jubilee have being a vampire? It’s not like they really focused much on her even being a vampire. Writers gave her a magical amulet that let her go out during the day and just ignore a bunch of other vampire stuff. It was an albatross around her neck. 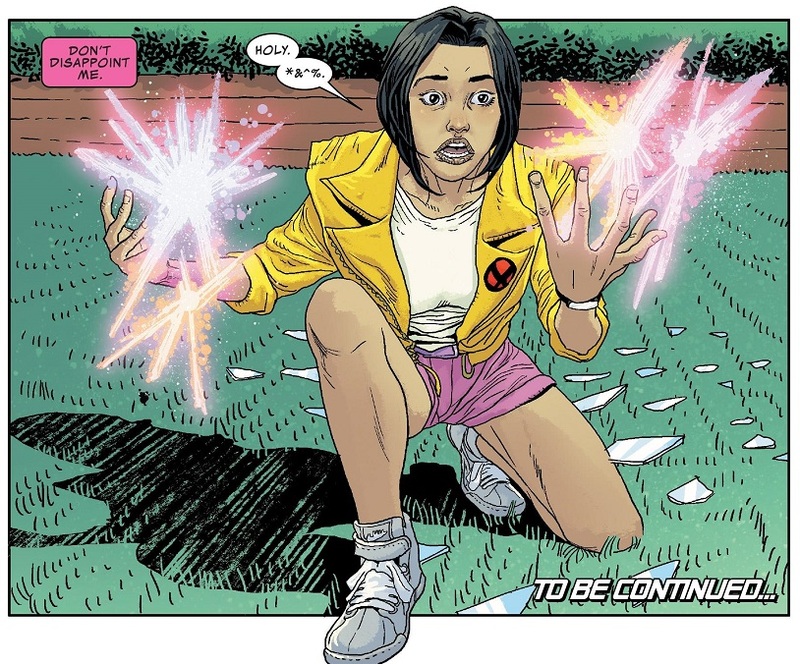 Fortunately, using the comic book magic of the Phoenix Force, Jubilee was restored to her old self in the latest issue of Generation X this week. Hooray for that! Normally I’m not a big fan of taking crazy steps to retcon the world back to the status quo, but this is one instance where it was the right choice. Jubilee as a vampire was dumb. Jubilee as Jubilee is great! Our long national nightmare is over. Praise the Phoenix! Posted on January 19, 2018, in Comics, Marvel, X-Men and tagged Jubilee, Vampires. Bookmark the permalink. 1 Comment. I know it wasn’t popular. And I didn’t much like the idea, or the story where it happened. But some fun stuff did come from Jubilee as a vampire, so I’m not really all that happy about that being reset. 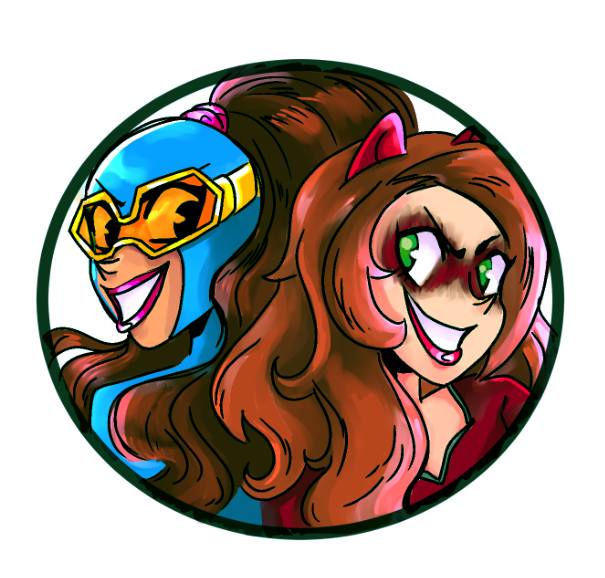 A big part of that is my utter distaste for Marvel’s constant need to revert characters to older status quos. Plus, what stories does this open? Vampilee, silly as the original idea was, opened story possibilities, Reverting her closes those opportunities. And on top of ALL THAT, having a non-mutant vampire as part of the team brought something different to the team. The X-Men have suffered, I think, from their general reluctance to hang out with non-mutants on a regular basis. So Vampilee made them feel marginally less restrictive.